IMFA will be held in Kenya on 9th November, 2016. Participants from more than 35 countries are expected to participate. 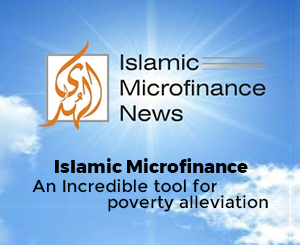 (Press release) To promote the industry of Islamic Microfinance, AlHuda CIBE is conducting international awards so that the Islamic microfinance institutions are encouraged and those institutions that have worked hard for the promotion of Islamic Microfinance. The award ceremony will take place in Nairobi, the capital of Kenya, on the eve of 9th November 2016. Awards will be given in recognition to the services provided by the people in Microfinance industry. Categories like Best Islamic Microfinance Bank, Best Islamic Microfinance Institution, Best Technology provider for Islamic Microfinance, Micro Takaful, Best Mobile Banking Product, Best Rural Finance Product and more are part of the awards. Focusing on the main purpose of arranging this award ceremony, Mr. Muhammad Zubair Mughal, Chief Executive officer - AlHuda CIBE said that we want to promote Islamic microfinance. He said that awards are normally given in the fields of Microfinance, Islamic Banking, Takaful and others but not much institutes are present for the promotion of Islamic Microfinance. AlHuda CIBE has taken this responsibility and has announced these awards on international level in 20 different categories, whose nominations will be received till 30th October, 2016.